As Elimination Chamber approaches, we wanted to continue discussing the Chamber matches of the past, and what better way than to revisit the best Chamber matches in the history of the match. There have been a number of solid ones, so after discussing the worst, it's only right we discuss the best of the best. Let's take a look at the 5 greatest. -I didn't have the highest hopes for this Chamber, but it was pretty good overall. I watched the build and got excited about what was to come in this match from an in ring perspective, but it was obvious that Undertaker wasn't going to walk out of the Chamber with the title. The participants would be Taker, Chris Jericho, John Morrison, Rey Mysterio, R-Truth, and CM Punk, and this match would lead to future feuds heading into Wrestlemania. Truth was eliminated first, Punk was eliminated by Rey, and that would lead to their feud. The final two would be Taker and Jericho, and HBK would show up to cost Taker the match and the title in a thrilling finish. Jericho wins a very good Chamber match that went over 35 minutes. It was great action throughout the match and the finish put it over the top. -I really didn't have a fond memory of this match at one point. I didn't like the ending and I'll be honest, it felt as if the match served no purpose in truly getting Goldberg over anymore. He had been undefeated in WWE until this match, but watching it back, it's a really solid Chamber match. The only person who didn't add much to it was Kevin Nash, but he was eliminated very quickly as expected. Randy Orton, Chris Jericho, and Shawn Michaels however kept the action ablaze and fun, as we watched all three do great work along with Triple H. Goldberg wasn't a bad piece to the match, but he was definitely a secondary figure who would end up serving only to put over Triple H in the end, taking a pinfall loss (his first in WWE) courtesy of a sledgehammer. 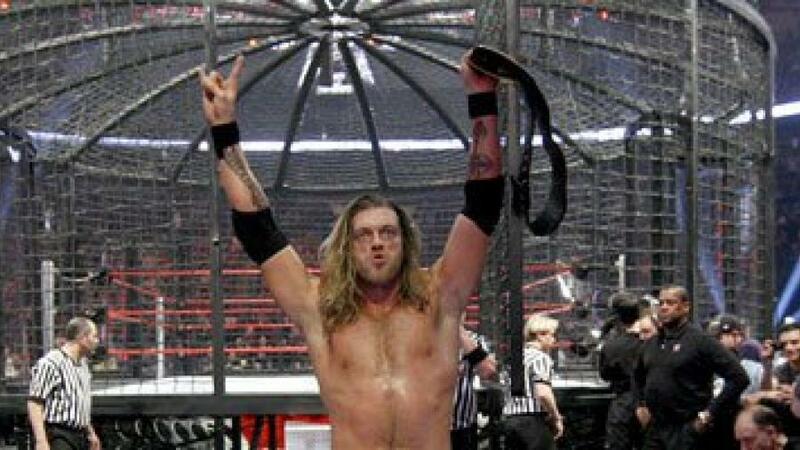 -When No Way Out was still an important PPV, the Chamber was an essential piece of the show. This match would be a shocker in a way, with Edge entering in the match after losing his title early in the night. The lineup for the match didn't jump off the screen, as Mike Knox and Kane didn't appeal to me, but Jericho, Mysterio, Edge (who took Kofi Kingston's place), and Cena made up for that. Both Kane and Knox were eliminated fairly early, and the final four would put on a classic show. Cena would be eliminated earlier than expected, meaning we would have a new champion for sure. 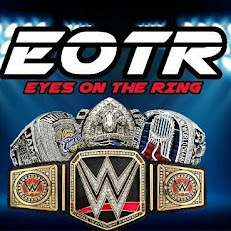 After Jericho went out next, we got about 7 minutes of top tier action from Mysterio and Edge, with Edge taking the win and the World Heavyweight Title. -There were two Chamber matches at this event and they would both be solid. However, the RAW Chamber (for the no. 1 Contender spot at Mania) match was just slightly better. There was something about the lineup that really made the action flow well, with Chris Jericho, Shawn Michaels, Umaga, Jeff Hardy, and Triple H all putting in work (along with JBL) to deliver a great match. This is a classic Chamber match, with Triple H standing tall at the end after a great sequence with Jeff Hardy. I would have liked the match to go a little longer, but for 24 minutes, this was an exciting battle. -This is the standard. Period. The greatest Chamber match and one of the best matches in Survivor Series history, if not the best. Honestly, there is something about this match that feels more than nostalgic. It holds so much within it that it is a moment in time for wrestling. Along with the fact that Shawn Michaels would return to wrestling officially (in the worst pair of wrestling tights ever), it would mark the first time he was in the ring with guys like RVD, Booker T, and Chris Jericho. That was a great moment in itself along with the action that carried this match. Going almost 40 minutes, this match was building to something big, and the culmination gave us just that as HBK would hit the Sweet Chin Music and pin Triple H to win the match and the title to one of the loudest reactions I've ever heard in WWE history. That, along with the match itself easily makes it the best Chamber match and it's not even close.